Hazrat Khwaja Faqr-ud-din Abul Khair ( Rahmatullah Allaih ) were the eldest son of Hazrat Khwaja Moinuddin Chishty Ajmeri ( Rahmatullah Allaih ). Hazrat Khwaja Faqr-ud-din ( Rahmatullah Allaih ) earned his livelihood by farming in Mandal town. He was a great saint and a scholar as well . After twenty years of Khwaja Sahib ( Rahmatullah Allaih ) Wisaal-e-Mubarak ( Pardah ) he took wisaal in Sarwar town, some 40 miles away from Ajmer. His Mazar is located near a pond in the town. 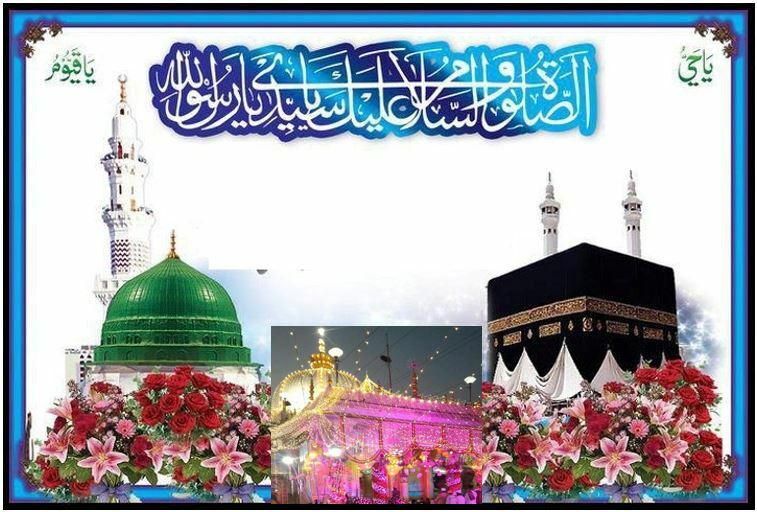 His Urs is celebrated on the 3rd of Shaban every year with great fervour. He was blessed with five sons. One of his sons, Hazrat Khwaja Hussamuddin was a perfect Sufi. His grave is at Sambhar Sharif. A third Party Video showing Urs sharif from past years. If you would like to take part by making an offering for Fathia, Nazar-o-Niaz, Qurbani,or Gyarmee , Chattie fathia sharif or you would like to take part in Urs of Wali-Allah’s (All Sufi Saint’s from all Silsila’s); you can send your heartily offerings & donations direct to us safely now! or in the future. Also in the Mosque inside Ajmer sharif Darbar we can arrange for Dua-e-karima, khatam-e- khwajgan, Dua-e-Shifa, Ayate karima and similar dua’s on your behalf . We can arrange for food to be made in Big deg & Small deg at Darbar . We can also arrange on your behalf flowers for Mazar Sharif and chadder (Shrowd) or present Sandal wood in Mazar Sharif. Also we can arrange for lungar (Feeding) the poor people. Also arrangements can be made for Haqiqa and Bismillah Sharif. The Ajmer Sharif dargah also organise marriages for poor people as well as Education “Taleem”. The Darbar Sharif arranges for all poor tourist in Ajmer sharif , lodging boarding, Transportation and food clothes for the poor people. Also provided are tickets for railway & bus and other expenditure while at Darbar Ajmer Sharif. This entry was posted in Uncategorized on Apr 18, 2018 by Syed Bashir Ahmed Niazi.